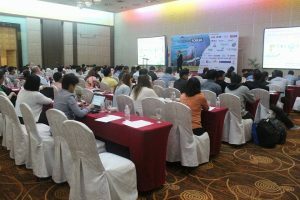 The annual PCPUG in the Philippines brings together Coal Plant specialists from across South East Asia to discuss the challenges and share new ideas together on the topic of running and managing Coal Fired plants in the region. 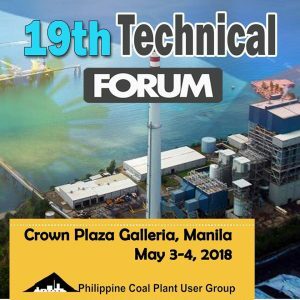 This year’s Technical Forum was the 19th to be held in the Philippines and was eagerly attended by engineering, safety, operations and many other parts of the business that is vital to the continuing growth of industries and economies cross some of Asia’s developing countries. NiSoft is well positioned to offer expertise in the area of transforming current safety systems and practices into a computerised integrated solution for large coal fired plants across the region. With a presence since 1997 in Asia Pacific, NiSoft has been sucessfully running projects in the Philippines, Indonesia, Singapore, Malaysia, Hong Kong, Thailand, Australia and New Zealand within Power Generation and other process intensive industries. Pamela Spreckley, VP of Sales for Asia Pacific was involved in leading a session on the benefits of standardising safety rules across muliple plants and how Pagbilao and Sual power stations benfitted from projects with NiSoft over the years.